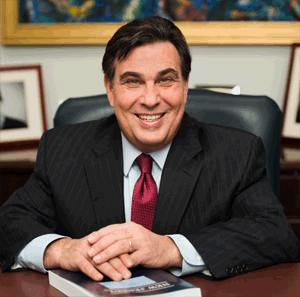 William J. Berman has been practicing law for more than thirty years. Bill specializes in the areas of Matrimonial/Family Law, Commercial and Business Litigation, Business Transactions, Equine Law and Mediation. Bill is admitted to practice law in the states of New Jersey and New York. He received his Undergraduate degree from Boston University and attended California Western School of Law where he obtained a Juris Doctorate Degree in 1983. Bill’s legal expertise has enabled him to represent clients in complex business and matrimonial cases. In addition, his experience has earned him the distinction to be a court approved divorce mediator by the N.J. Supreme Court Committee on Complementary Dispute Resolution. Bill is appointed by judges and attorneys to conduct mediation in both complex and simple matrimonial cases. Bill has been married in excess of twenty five years and has two adult children. He has been involved in several educational and athletic foundations associated with his community and continues to provide counsel and guidance to various organizations.